We’re your key to safe driving for life! With 50 years of teaching experience and 200,000+ safe drivers. Offering fun and innovative classroom and online programs through our engaging, proprietary curriculum; state-of-the art training vehicles and instructors exceeding the state minimum requirements.​ All Star Driver Education offers most comprehensive DPS-approved Oklahoma Teen Drivers Ed. Register online and get your parent taught packet mailed directly to you. Avoid long classroom course and driving school costs with DPS approved, Parent Taught, self-paced course. Register to take your course online, and then do the driving portion with your parent. Avoid taking a classroom course and save on driving school costs with our DPS approved, self-paced course. What is the Oklahoma Parent Taught Drivers Education (PTDE) Program? The Oklahoma Parent-Taught Drivers Education (PTDE) program is an alternative to driver’s education in a conventional classroom. This program lets teens take their driver’s education course at your leisure from your own home. It lets parents provide the 55 hours of behind-the-wheel lessons too. Our program is DPS-approved. To participate in PTDE, the parent/guardian must first submit a Parent-Taught Driver Education Affidavit to the DPS. We would need to receive a copy of this document to get you started with your course. Who needs to take Oklahoma drivers education? If you’re under the age of 16 and plan to obtain an Oklahoma learners permit, you’ll need to complete a DPS-approved driver’s education course. All Star Driver Education’s course is DPS-approved and does fulfill the Oklahoma parent-taught driver’s education requirement. This course can be taken for educational purposes as well. If you are at least 16 years old, you do NOT need to take driver’s education to apply for your permit. What are Oklahoma’s Driver Education requirements? If you’re at least 15 years old when applying for a learner’s permit, the Oklahoma DPS will ask to see proof of enrollment or completion of a driver’s education course. All Star can provide a receipt for you to prove you have purchased your parent taught program. While you don’t need to have your learner’s permit before you take Driver’s Ed, you will need it if you wish to practice driving outside of the program. 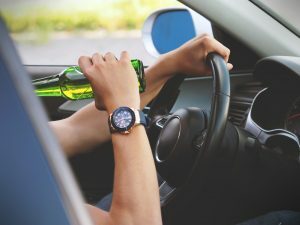 If you have your Oklahoma learner’s permit, you can start your behind-the-wheel training with a licensed driver who is above 21 years old and has been licensed for at least 2 years. What are the steps for getting a driver’s license? Register with Oklahoma DPS for parent taught driver education. Contact our office to purchase your parent taught program. It’s only $119.00. We can be reached at 800-967-7719. Take Certificate for state Road Test & get your License at DPScourse. How old must you be to get a learner’s license? Be currently taking or have completed an approved driver’s education course and be able to show proof of drivers education enrollment signed by your instructor. All Star Driver Education is an Oklahoma DPS-approved provider for the Parent-Taught Drivers Education Program. After completing our online driver’s education course, you will receive a Certificate of Completion, needed to ultimately earn your Oklahoma drivers license. Does the All Star Driver Education home course satisfy DPS requirements? Yes. Our course is DPS-approved as a parent-taught drivers education (PTDE) course and is equivalent to the regular 30-hour, in-class drivers education course. The Oklahoma Parent-Taught Drivers Education (PTDE) program is a DPS-approved alternative to driver’s education in a conventional classroom. 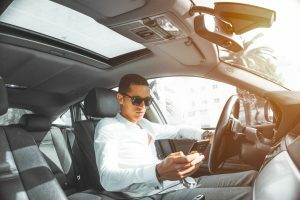 This program lets teens take their drivers education course at home (with DPS-approved providers) and let’s parents provide the 55 hours of behind-the-wheel lessons. The parent/guardian also plays an active role in the learning process and supervises the student’s progress in the at home course. To participate in PTDE, the parent/guardian must first submit a Parent-Taught Driver Education Affidavit to the DPS. This form can be found on page 13 of the PTDE Information Packet. IMPORTANT: The student may not begin the All Star Driver Education Oklahoma online course until the parent has been accepted by the DPS as a parent-instructor and receives an authorization number.